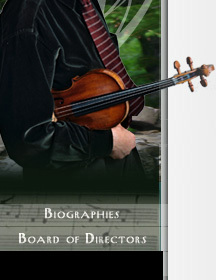 "A Musical Feast Board of Directors"
Doctor of Anthropolgy specialized in understanding communities and state structures. Specialty in community building and organizing. IRENE AYAD, PHD : Irene Ayad is an Adjunct Professor at the School of Architecture and a Board Member of the Buffalo Preservation Coaltion.